Now for our last dress, we were really excited about these beauties! I reached out to Bridal Closet to see if they were interested in working with us, and I was so thrilled when they were! Whit and I headed to their store in Draper where we got to pick out the dresses that they loaned us for the shoot. 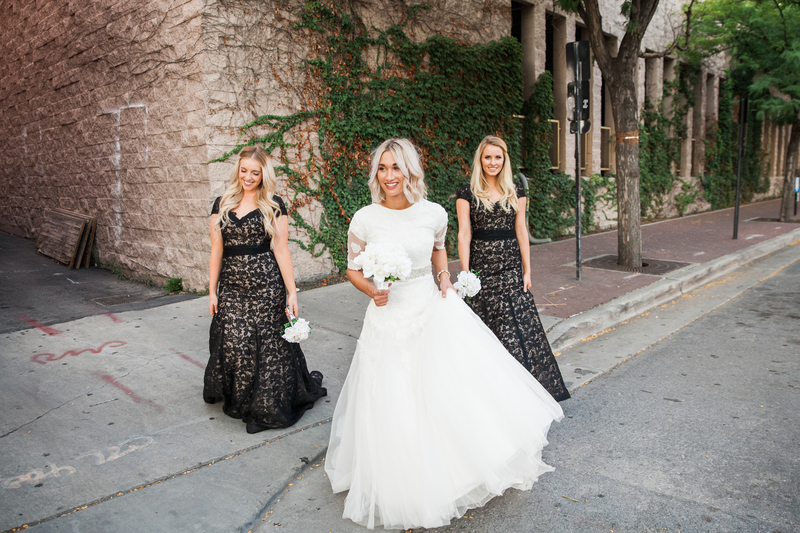 We worked with Tara, who was a gem in helping us select dresses and ensuring their proper fit. 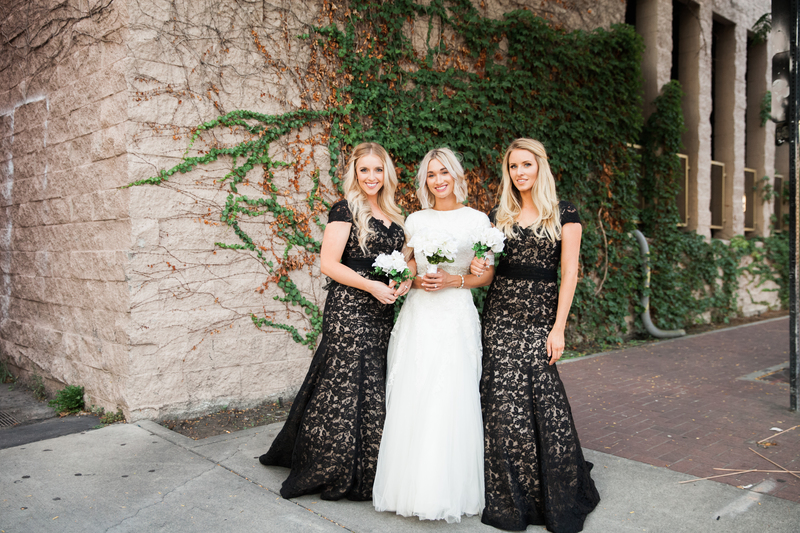 When we tried on these black lace mermaid gowns, we were sold! Bridal closet is definitely a great place to go if you are looking for bridesmaid dresses on the more formal side. They also have a ton of gorgeous wedding dresses as well. 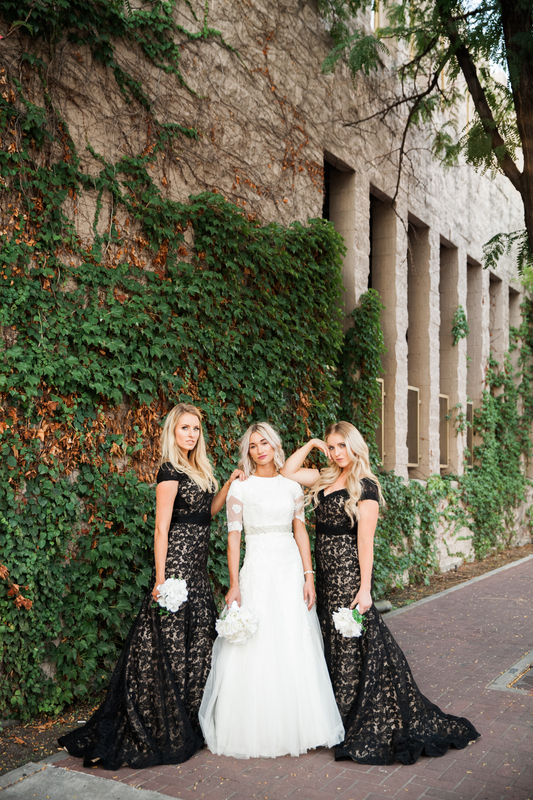 We love how the dresses are heavily accented with lace. This creates a brilliant contrast between the dark overlay, and the light lining, that is absolutely stunning. 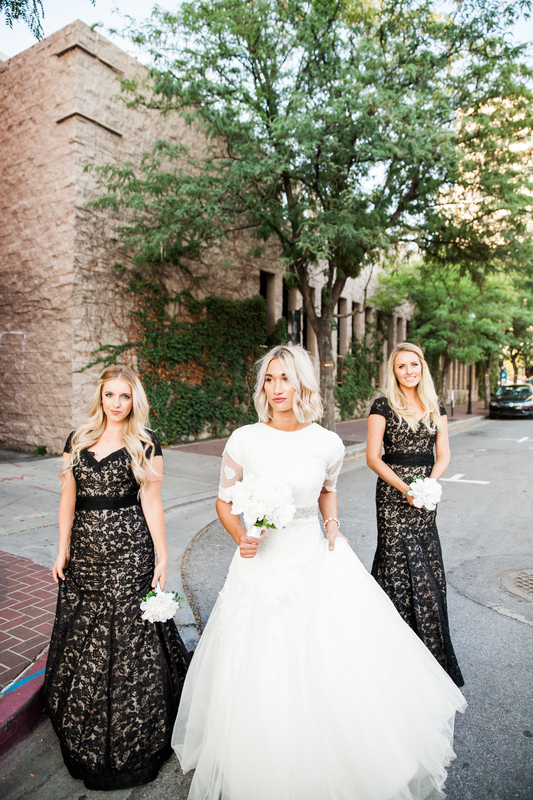 It’s such a fun change from the typical single-colored bridesmaid dress. Be careful though, if you use this dress, you just might have a few more friends campaigning to be your bridesmaid!